Description: Sexes similar. 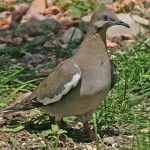 Drab brown body with large white wing patches. 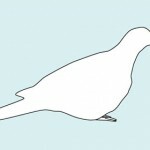 On sitting bird, the wing patch shows only as a thin white line. 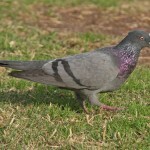 Purplish sheen on head, neck, and shoulder; tail is short and rounded. Habitat: Usually found in dense mesquite, mature citrus groves, riparian woodlands, and suburbs. Where in Nebraska: Rare, but increasing; spring and fall migrant; and summer and winter visitor statewide. Status: These birds are considered game in their normal range. 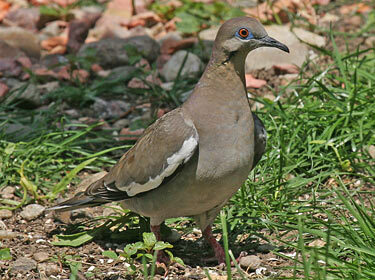 Fun Facts: Although White-winged Doves are found primarily in the Southwest their range is expanding across the United States.